So, after sorting everything into piles of size and season (ie: 6-9 months winter clothing), it was time to pack everything up to store in the attic. If you don’t have an attic or basement with ample storage space, my system may not work for you, but I’m sure it can be adapted to work on a smaller scale. I started with a large plastic tub, and some space bags. I’m not sure if the space bags really conserve space, but I had them, so I used them. Each bag was packed with clothing from a specific size range/season and labeled accordingly. The ziploc bags were perfect for storing and labeling smaller items, like shoes and socks. Now the closet is all cleaned out, and I’ve started making a list of items that we need for this summer. Mostly shorts and sandals. I think we’re good on t-shirts. Maybe another pair or two of PJs. Ahhh…look at all of that empty space. So refreshing!! If you’re a Facebook Fan, you know that yesterday was devoted to cleaning out my son’s dresser and closet, and packing away or donating his outgrown clothes. Part one of Controlling Clothing Chaos will explain my decluttering process, and part two will be about the storage aspect. I started with the dresser, because it has less stuff to weed through. Now that it’s March and the weather is warming up, the bottom drawer of blankets seemed unecessary…so they are packed into an underbed storage box. Still easy to access, but not taking up unneeded space. Unfortunately, the box is too tall to fit under the crib, so it is being stored under my bed for now. Next, I pulled all of the winter pajamas out of the second drawer. Once I realized that doing that only left a few sets of spring/summer PJs, I decided to use that space for something else, and set them aside for relocation. Now…to the closet. As my son outgrows things, I usually sort them into plastic containers like these and store them on the top shelf of the closet. That way, things that are the same size and season tend to already be together, which makes part two of the process easier. So, it was a little bit of a process to get everything grouped together for storage, but it gave me a chance to go through all of his clothes and decide what I really wanted to keep for our next child. Stay tuned for PART TWO to see how I store everything! ** I am an affiliate blogger for my favorite online CD store, Kelly’s Closet. 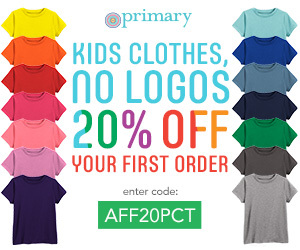 If you order products via the links below, this blog will get a portion of the sale. Thank you for your support! Lately, I’ve seen a lot of moms asking, “What’s the best way to organize my cloth diapers?” Obviously, the answer is different for everyone, but here’s what works for us…and you get to see pictures of my (rarely) organized stash! My setup consists of two dressers. Back when my son was teeny tiny, the top of the large dresser was our changing station. Now, we just use the floor. The top drawer holds diaper covers, Flip inserts, wet bags, and pocket diapers. I keep these in the top drawer because they have the most pieces that can be scattered all over the room, and little man can’t quite reach them yet. So, they are safe…for now. Tip #1: Organize your stash by type, so you’re not digging around trying to find something to put inside that cover while your baby is wandering around bottomless (unless you feel like cleaning up a mess). Tip #2: Make sure your diapers are ready to “grab and go”. Put baby down. Dirty diaper off, clean diaper on, done. Diaper changes are hard enough with an older baby/toddler. Don’t complicate things by having to hold him down while you try to snap in an insert, stuff a pocket, etc. So…now, that you’re all organized, do you have empty spaces in your dresser/cart/laundry basket that need to be filled? Join the fun in the Kelly’s Closet Easter Egg Hunt for your chance to win more diapers! 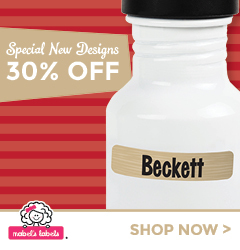 Get Organized in 2013 with Mabel’s Labels! These Household Labels are a must-have to help families get, and stay organized at home. Developed by professional organizers, these labels organize everything from storage bins, food containers and spice jars to craft supplies, electronics cords and trash cans. 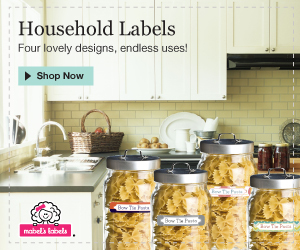 Be sure to check out all of Mabel’s Labels great new products today! Ahem…anyway, I’ve been feeling really scatterbrained lately. I have all of these great blog ideas, to-do lists on post-its everywhere…my desk and my purse are a mess! So, I need somewhere to keep track of everything all in one place. Yes, I do have an iPhone, but I’m much more of a pen-to-paper kind of girl. After looking at blogs and Pinterest for ideas, I narrowed down my choice to a mini-binder and accessories (binder pocket for pens and highlighters, pocket dividers, and a pack of blank paper), and figured out what exactly I’m going to use it for. My next challenge is to find some printables that will actually PRINT on a half-sheet. I love these from One Tough Mother, but they all want to print full-size on my printer…blerg! EDIT: Got it to print the right size! Woot! Sorry, no color printer here…but still functional! So, after putting little man in the “indoor swimming pool” (aka: master bath garden tub) with some new bath toys, I got down to business. Sorry there are no “before” pics, but it was embarrassing. Trust me on that. Yes, there is still stuff on the counter, but that’s probably never going to change. lol I need to get another basket (like the one on the far left) for Husband’s everyday stuff. I think this might become my new “project” (in September, of course – when the first birthday frenzy ends!) Not just my bathroom (though that probably needs the most help! ), but every room in my house. We have so much “stuff” that doesn’t have a place – taking up space in a junk drawer, closet, dresser, etc…why do we need it?! He sorted through the discs.